This is the inspiring true story of a son and his mother, who start a “book club” that brings them together as her life comes to a close. Over the next two years, Will and Mary Anne carry on conversations that are both wide-ranging and deeply personal, prompted by an eclectic array of books and a shared passion for reading. Their list jumps from classic to popular, from poetry to mysteries, from fantastic to spiritual. The issues they discuss include questions of faith and courage as well as everyday topics such as expressing gratitude and learning to listen. Throughout, they are constantly reminded of the power of books to comfort us, astonish us, teach us, and tell us what we need to do with our lives and in the world. Reading isn't the opposite of doing; it’s the opposite of dying. 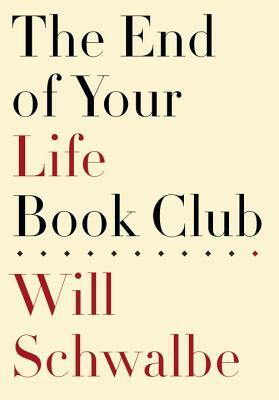 I'll be sharing my thoughts about this book here, along with the other participants in the book club hosted by Devourer of Books and Linus's Blanket. Please visit! I've been seeing this around the book world. I'll have to go check out what everyone thinks!